Students leave our Rustic Storage Trunk class with a fully assembled project ready to take home to finish however they like. 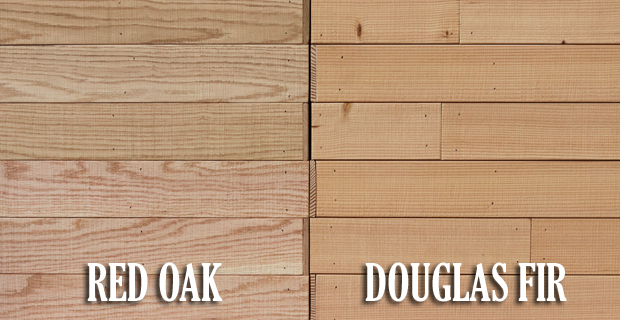 Trunks can be veneer either with Douglas Fir or with Red Oak. Hinges and a lid support chain are included as part of the standard kit price. No other decorative hardware is provide by nor available at PW. Additional class sessions and resources for students to customize, distress and finish their trunks with stains, paints and polyurethane would significantly increase the cost of the class. 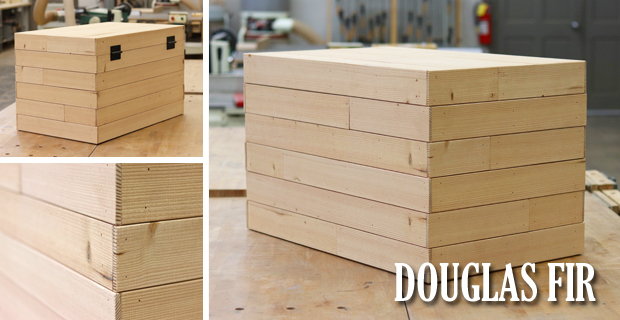 To help students at home, this <video> shows the step-by-step finishing of our prototype chests. The distressed, painted, stained and polyurethaned prototypes – shown in the photos on the class page and in the video – are just two examples of how students can choose to finish their projects on their own. 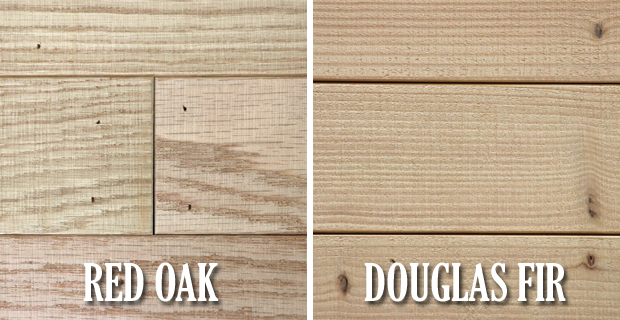 Our teachers will walk students through a variety of finishing techniques to achieve various effects and PW has a wide selection of samples that show a variety of stain, paint and distressing at-home DIY options. 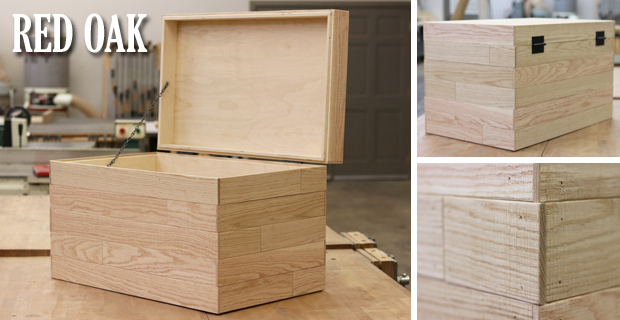 The photos below show “unfinished” trunks in both species of wood (Douglas Fir and Red Oak) as representative of what students take home from class. Students who wish to finish their trunks with private help from our instructors have the special offer of 25% OFF private instruction (from $80/hr + materials normally to only $60/hr + materials, saving $20/hr). Additionally, we have a 1-hour minimum for all private lessons that we will reduce to 30 minutes for alumni finishing lessons. Lastly, students will have up to three weeks of complimentary storage of their trunks at PW if finishing through private lessons! CLICK <HERE> TO RETURN TO THE RUSTIC TRUNK CLASS PAGE. CLICK <HERE> FOR ADDITIONAL INFORMATION ON DECORATIVE HARDWARE.